Haunted Hostelries of Shropshire offers a fascinating insight into some of Shropshire’s most haunted pubs, inns, hotels and licensed properties. It comes as no surprise that the dramas and tragedies played out over the years within the walls of these establishments should result in such convincing accounts of ghostly activity. Within these pages you will find many new stories of hauntings, together with a fresh look at some of the more traditional tales. 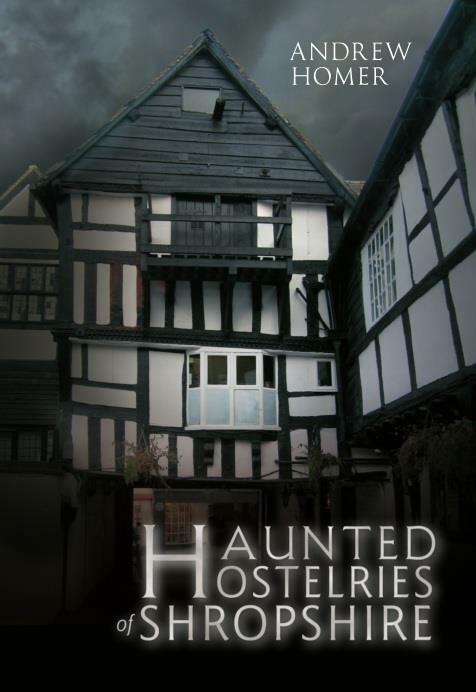 An overriding theme throughout this book is the sheer amount of seemingly paranormal activity which is regularly being experienced by both staff and customers alike. You will discover accounts of phantom children, poltergeists, spectral animals, a cheeky bottom pinching ghost and how a jealous highwayman from long ago still makes his presence felt. Find out which haunted rooms to stay in, or indeed avoid for an undisturbed night’s sleep. The majority of these haunting stories have been gathered at first hand from the people who have experienced the phenomena for themselves. Visit the licensed properties included here for yourself and who knows, perhaps you will have a ghostly experience to add to the rich heritage of Shropshire’s haunted hostelries.